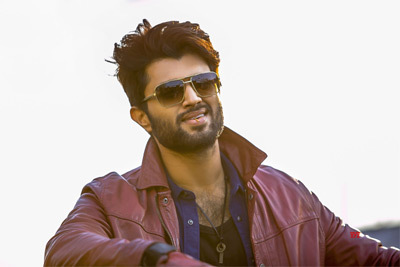 Vijay Deverakonda’s upcoming sci-fi thriller, Taxiwaala, was supposed to release in May. But the extensive VFX work had delayed the film’s release and the film is yet to get its release date. Due to this delay, there were several rumors that Taxiwaala is being reshot as the makers are not happy with the output. Last night, Taxiwaala’s director Rahul Sankrityan took to his social media page and clarified that all the reshoot rumors floating around are false and that the entire unit is happy with the output. Rahul went on to request everyone to not watch the pirated version of the movie and land themselves in legal mess. Leading production houses UV Creations and GA 2 are presenting the movie and SKN is the producing it. Young heroines Malavika Nair and Priyanka Jawalkar are the film’s leading ladies.